The next thing about to happen is a frame around the large mirror. 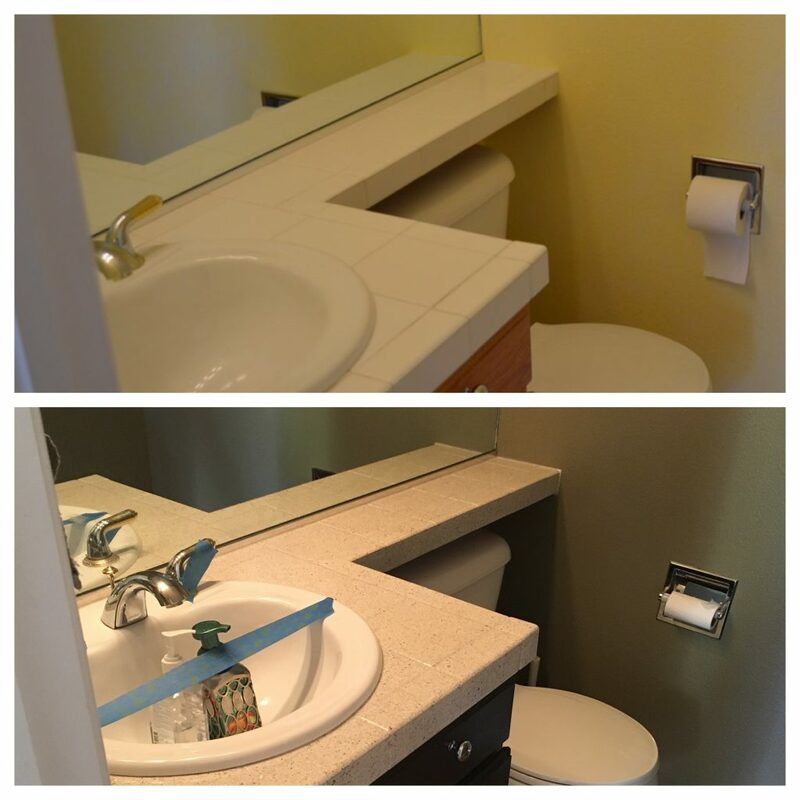 Dave and I can’t stand those mirrors, but as we learned from the kids’ bath upstairs, removing the mirror might take the wall with it…but we found a website called MirrorMates.com that offers peel-and-stick frame pieces for plate-glass mirrors such as these. So we ordered one. I’ll let you know how it looks. 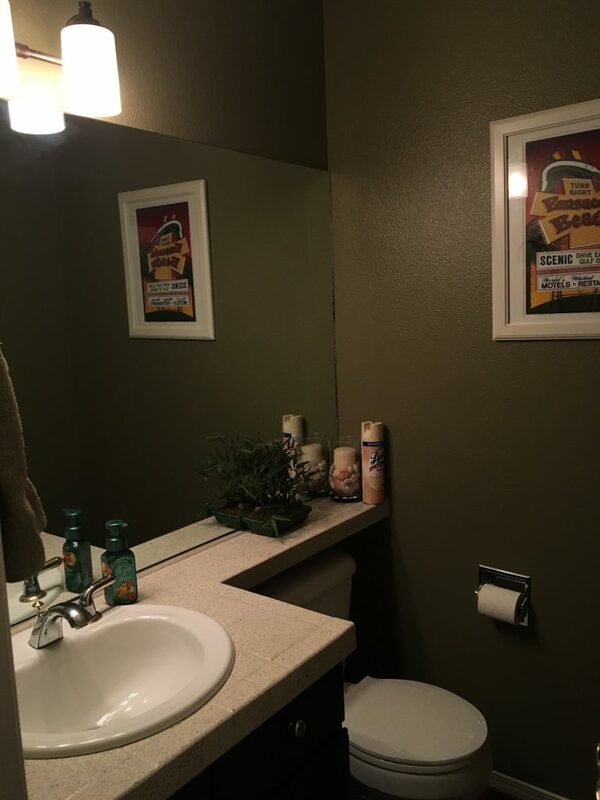 I didn’t do a great job photographing all of this, but I did find a “before” photo from when we were first looking at this house with our realtor in May 2013. 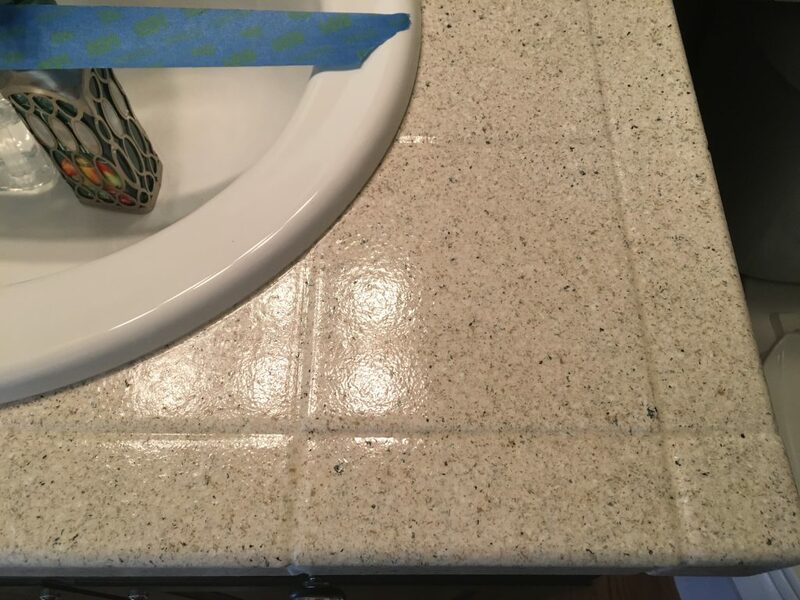 The bottom part of the picture is the “after” photo of the resurfacing: the tape over the sink was to remind us not to use the sink for 24 hours while the counter surface dried.